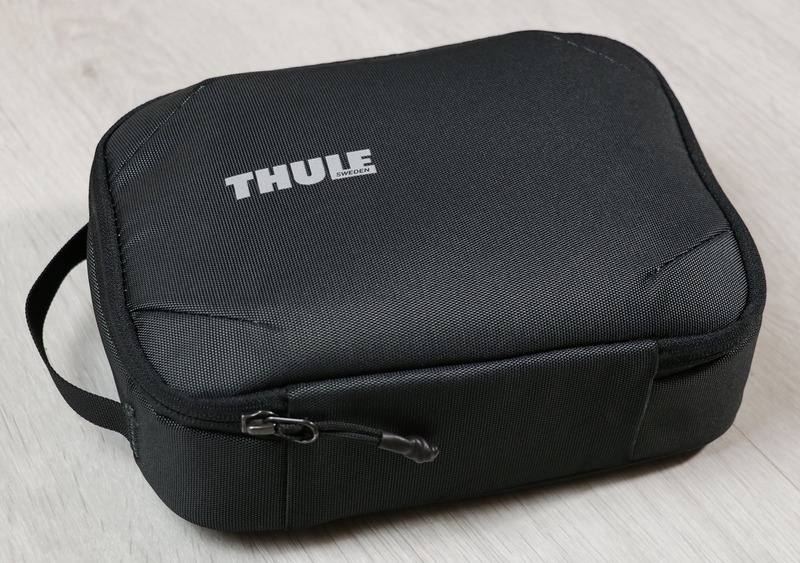 In this review, we will be taking a look at the Thule Subterra Powershuttle Plus, a large pouch designed to organize and protect your tech gear while you’re out on the road. Editor’s note: Thule also makes a medium and small sized Powershuttle. 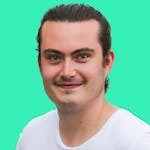 We’re going to be referring to the large version in this review, but a lot of the information we mention is transferable. So if you find yourself thinking “this looks awesome, but it’s a tad too big,” then we’d recommend checking the smaller sizes out. The Subterra collection from Thule has been a huge success overall, and we’re big fans of the Subterra 34L Travel Backpack—a pack we put to the test in four countries over the course of three months. And we’ve kept using it after that! It’s seen nearly constant use over the last year because it’s just so darn good. 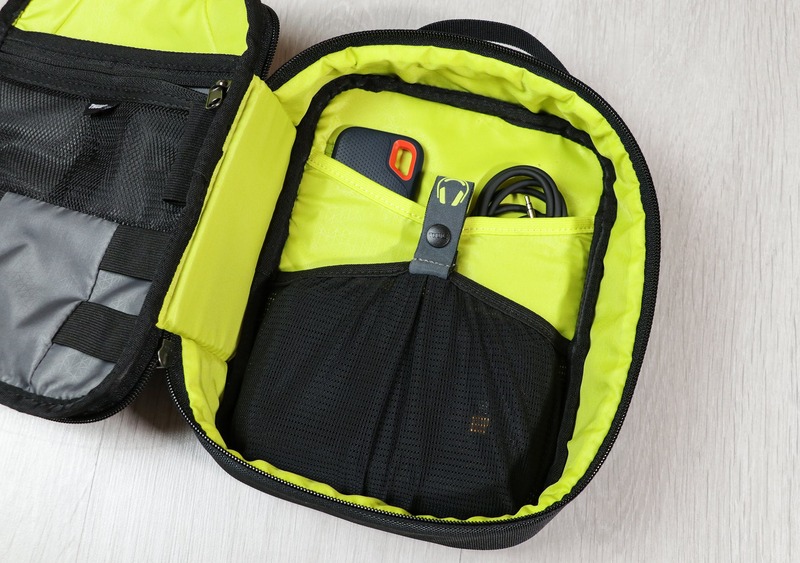 If you haven’t figured it out by now, we’ve got some pretty lofty expectations for this tech pouch. Let’s dive into the review and find out how well it performed. The Thule Powershuttle Plus has a slick look and streamlined shape, closely matching the style of the other products in the Subterra collection. It’s minimal, nondescript, and doesn’t scream “I’ve got a ton of expensive tech gear in here,” which is always nice. 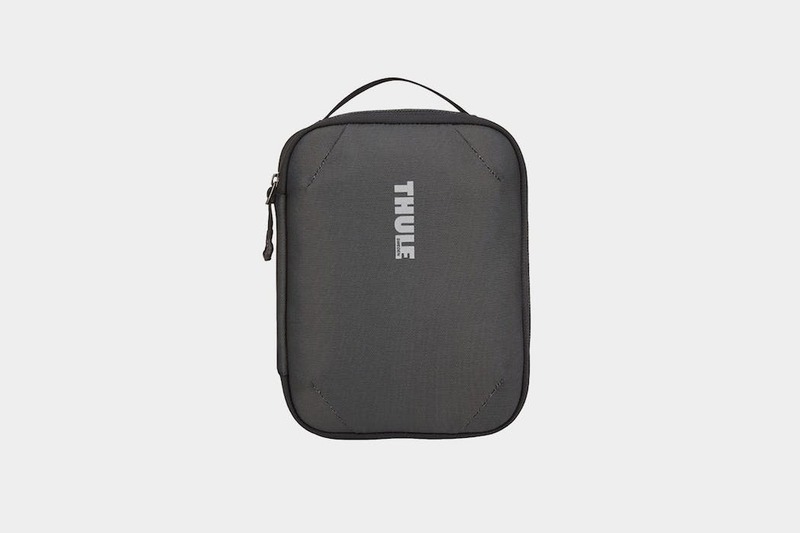 The branding on this pouch is minimal, but Thule still makes sure you knows it’s their product by slapping a small-yet-prominent logo on the front. 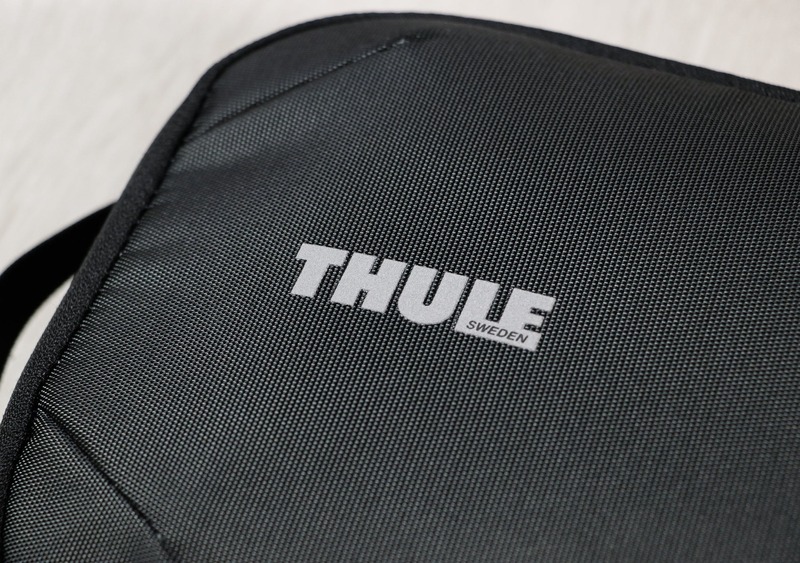 When testing the Thule Gauntlet 3.0 Laptop Sleeve, we found the logo on the front was slightly wonky, but we’re happy to report that this one is looking good. 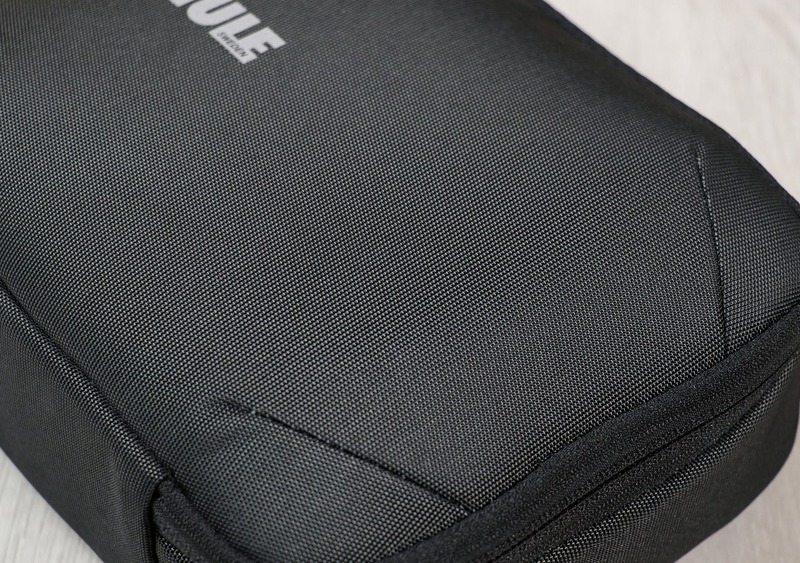 There is one small “Thule” tab on the inside too, because…well, we’re not too sure why, but it’s there. Maybe so you never forget that it’s a Thule product? Moving on to the materials, the Thule Powershuttle is made from the same 800D nylon as the Subterra 34L Backpack. We could spend the next couple of paragraphs talking about this material, but for once, we’ll keep it short. All you have to know is the 800D nylon on the backpack we’ve been testing hasn’t shown a single sign of wear or tear after a year of everyday use. Seriously, not a single sign. And we expect the Powershuttle will trend in the same direction. Although we do love this material, we should note that the Powershuttle isn’t weatherproof. Nylon is slightly weather-resistant, so you’ll likely be fine if you spill a drink nearby, but water will soak through eventually. This thing will likely remain in your bag, so it’s not a huge concern, but it is something to be aware of. Water + tech gear = not good. 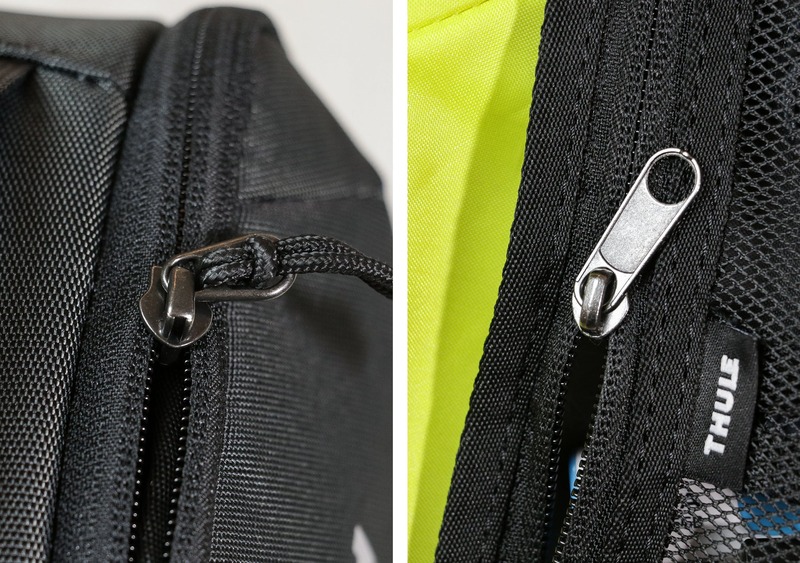 The main zipper on the outside is a smooth, durable, and reliable YKK #5. Unfortunately, we can’t say the same for the zipper used on the internal mesh pocket. Not only is the interior zip unbranded, but it’s pretty shoddy too. It still functions as a zipper, but it’s certainly not smooth and doesn’t feel particularly durable either. We’re being a bit nit-picky here, and it should be fine considering it’s in a safe location inside the pouch, but we’re kind of disappointed here. The Powershuttle has a full clamshell opening which provides easy access to everything inside and makes it very easy to see what’s going on throughout the pouch. We like the opening, but the single zip is somewhat restricting. 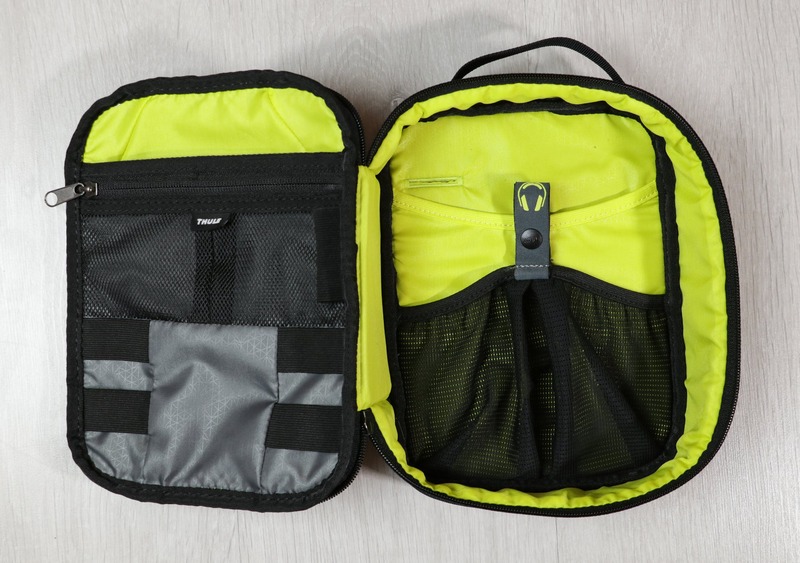 We would have liked to see two zippers on the opening as it would enable you to zip up the pouch from any point. We generally find two zips to be more user-friendly across the board…it’s not a huge issue on this pouch, but we’ve gotten frustrated with it a few times. There is padding around the entire pouch, and while it’s not very thick, it is incredibly dense. We wouldn’t recommend throwing this thing around—it’s still pricey tech gear, after all—but it’s more than enough protection for everyday knocks and bumps in your bag. There is a quick-grab handle at the top of the pouch that comes in handy (pun intended). The Powershuttle gets heavy when it’s full of gear, and the handle is excellent for grabbing it out of your bag. Especially if you’ve got a top-loading pack. When it comes to interior organization, this thing sits somewhere between the Millican Smith Utility Pouch (which has none) and the Peak Design Tech Pouch (which has a ludicrous amount). The amount of organization you need depends heavily on what you need to organize, but we’ve found the Powershuttle Plus offers a great balance that should cater to most people and most use-cases. Plus, all of the sleeves and pockets sit flat so you don’t have to use them, and they don’t take up unnecessary space either. Starting on the left side, there are four elasticated loops to help keep your cables tidy. We’ve been using these for USB cables, but they can be used for any wires or miscellaneous objects really, as long as they fit. 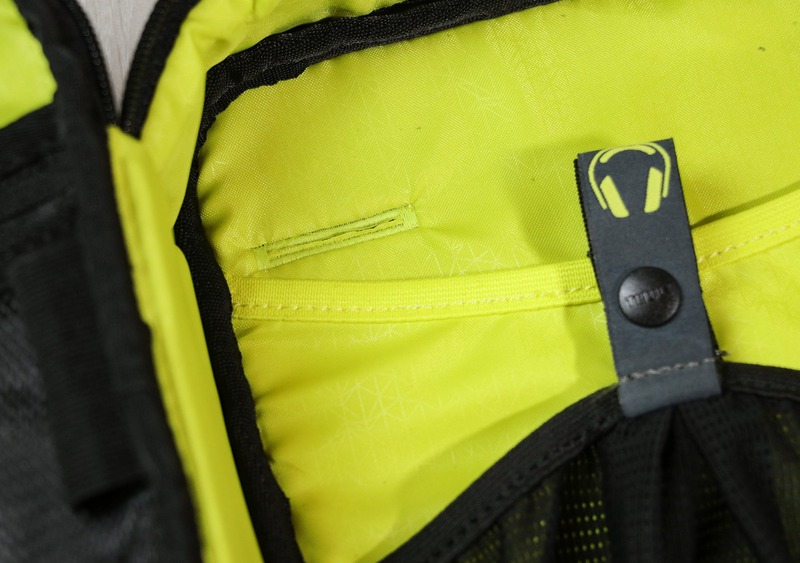 Just above, there is a zippered mesh pocket for keeping smaller items together. 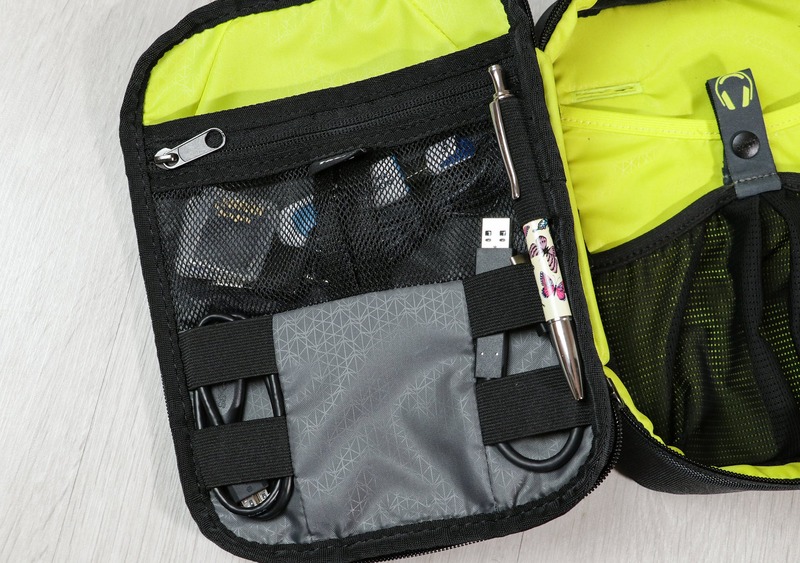 This is an excellent place for memory cards, earbuds, and USB sticks. To the right of this compartment, there is a pen holder, which always comes in handy. Moving to the right side, there is a mesh pouch at the bottom. An external hard drive fits nicely in here, but we’ve also been throwing a bunch of different gear in depending on what we’re carrying around for the day. Just above the pouch, there are two slim divider pockets. We’ve been using the left side for an external hard drive and the right side for a headphone cable. There is a bit of stretch to these pockets, but they’re best left for smaller items. Next, you’ll notice a small pass-through hole in the top left corner which enables you to charge your phone on the go. 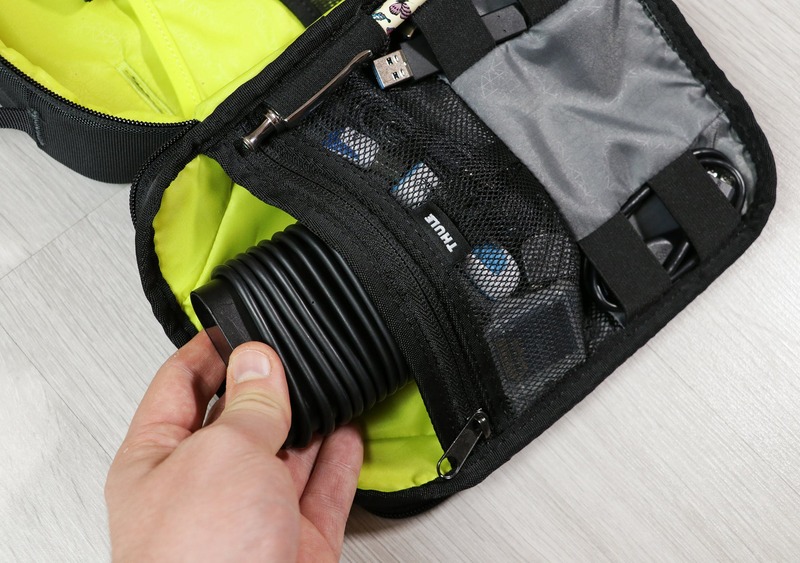 Simply pop a power bank in either one of the pockets and feed the cable through the hole, into the mesh sleeve at the back of the pouch, and you’re good to go. This isn’t something we find ourselves using often, but it’s a smart design and we certainly appreciate having the option. Finally, there is a ton of room for organizing larger items on the top right side. 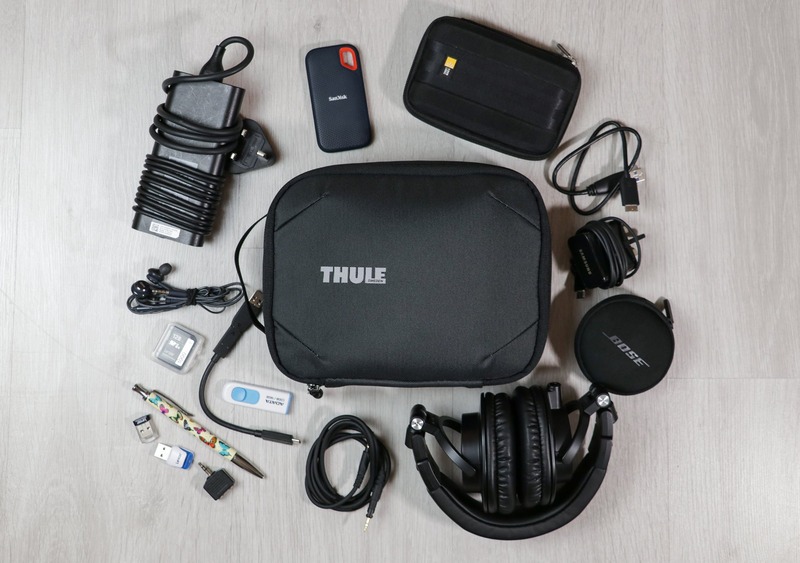 Thule has designed this space specifically for a pair of full-sized headphones—and that’s exactly how we’ve been using it—but it’s big enough for a wide range of tech gear. Even with a pair of large Audio Technica M50x headphones in here, there’s still enough room for other miscellaneous tech bits like a phone charger. We’ve been testing the Thule Subterra Powershuttle Plus for a little over a month now, and it’s seen everyday use as our go-to tech organizer around coffee houses in England and on a to Porto, Portugal. We’re happy to report that this thing is still looking brand new, and just like the Subterra 34L Backpack, we expect it to hold up for a long time to come. If for whatever reason it doesn’t, Thule offers a solid warranty too. 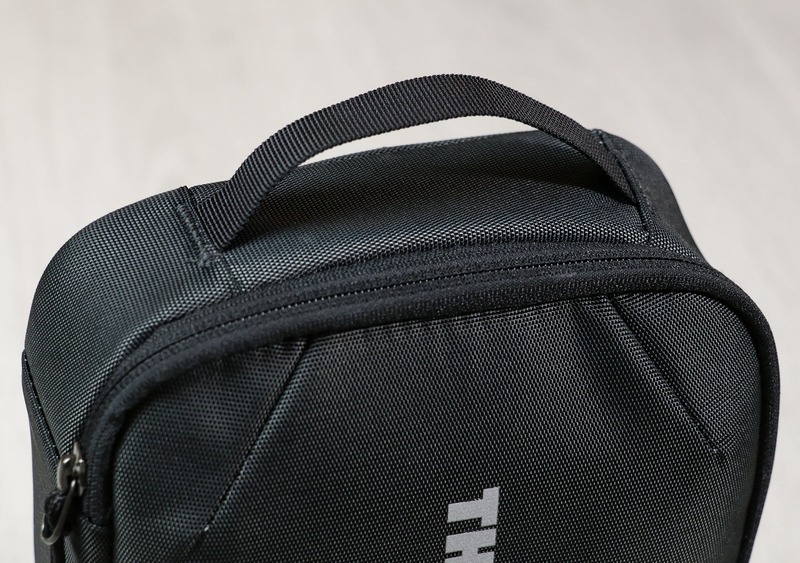 While we haven’t tested this ourselves, the Thule guarantee covers any defect or damage affecting the product for two years after the date of purchase. Even damage caused by normal wear and tear or the natural discoloration of materials! 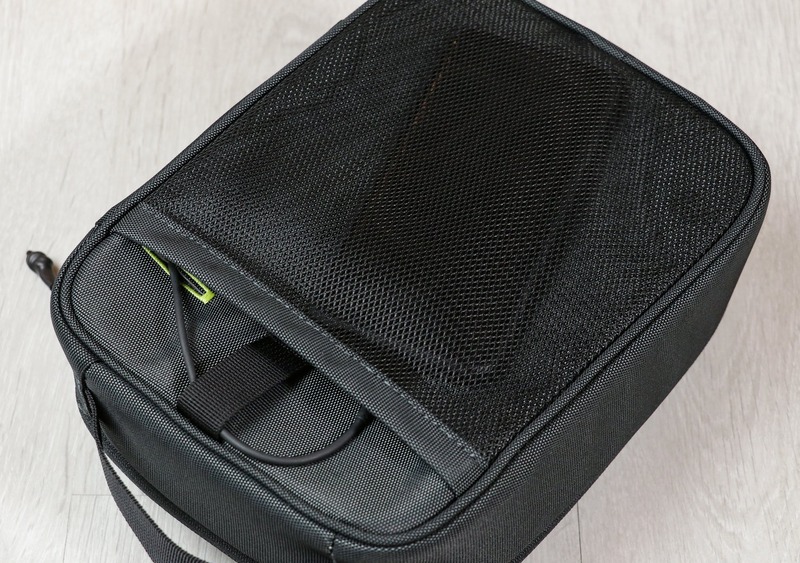 In testing, we’ve found this organizer can fit everything we need, even for longer one bag travel trips. And the organization is versatile enough to accommodate a wide range of tech gear. Better yet, the sleeves and pockets all sit flat, so you don’t have to use them if you don’t want to. If you don’t utilize all the room inside this thing, it will take up unnecessary space inside your bag. Thankfully, as we mentioned earlier, the Powershuttle is available in a medium and small size for precisely that reason. 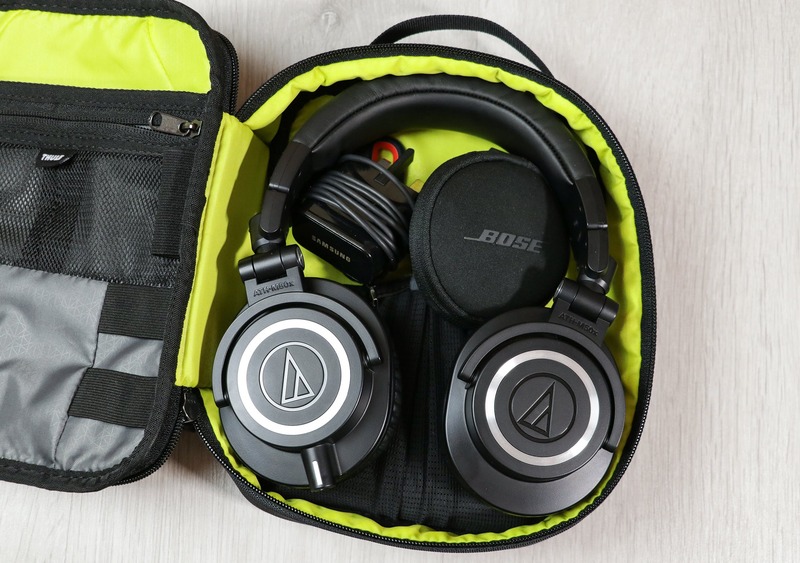 However, if you are traveling with a pair of full-sized headphones or just loads of tech gear, then we think the large version will suit you well. At the end of the day, this is a fantastic organizer that won’t let you down. It took a while to figure out how to organize all of our gear inside, but it’s been a pleasure to use once we cracked it. Brought this along on a one month trip to Porto and it was able to fit all of our tech gear. The Thule Subterra Powershuttle Plus is a brilliant organizer if you travel with a wide range of tech gear. 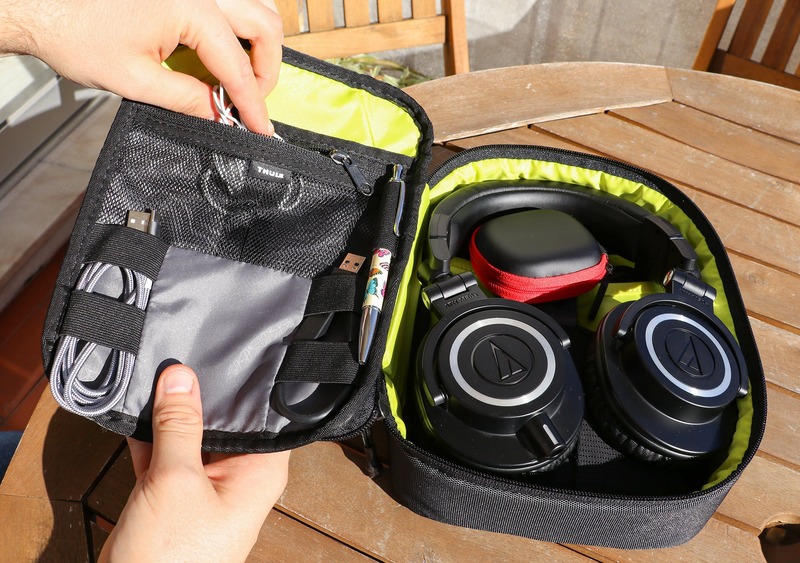 The organization is just right for most use-cases and versatile enough to accommodate both small and large items, from memory cards to full-sized headphones. 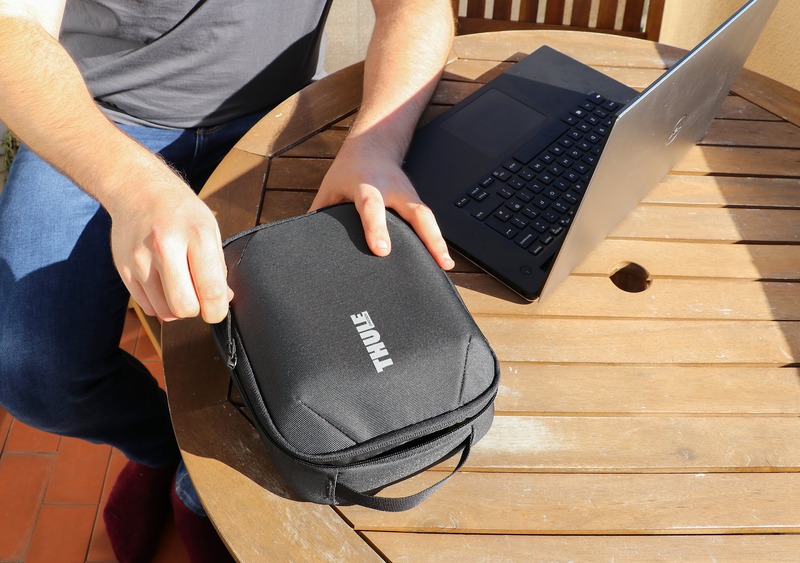 We do think the decision to only put one zipper around the clamshell is a bit frustrating, and the small interior zipper is a bit shoddy, but they’re minor gripes considering how well this tech pouch has performed during our real-world testing.